Perfect for couples, a family or a group of friends, paint your own masterpiece in two hours. It’s the perfect night out for couples, a family or a group of friends. Taught step-by-step by an accomplished artist, you will use acrylics on cold-pressed watercolor paper to make a beautiful painting in just two hours. Plus music, prizes and lots of casual fun! You take home your finished 9 x 12 masterpiece — a great size for framing to display in your home or to give as a gift! 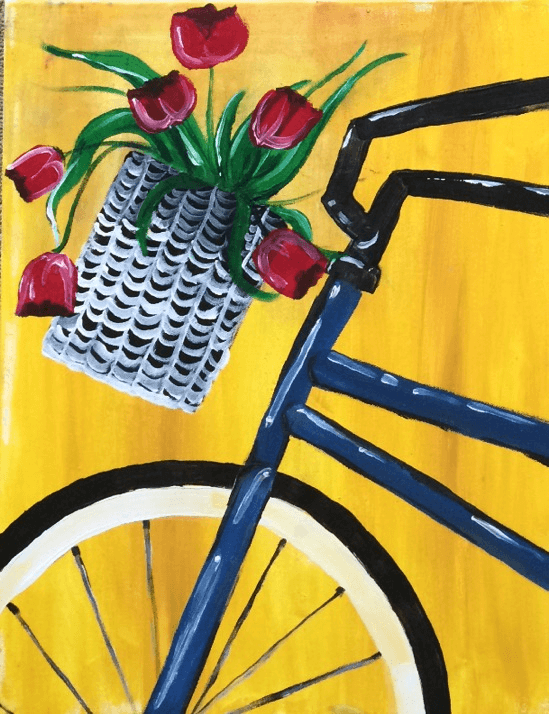 Each month will feature a new painting for you to master, so join us the 2nd Friday of each month for a night of colorful fun.